Acupuncture is a component of the health care system of China that can be traced back at least 2,500 years. 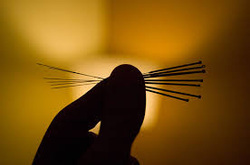 The general theory of acupuncture is based on the premise that there are patterns of energy flow (Qi) through the body that are essential for health. Disruptions of this flow are believed to be responsible for disease. Acupuncture may correct imbalances of flow at identifiable points close to the skin. Acupuncture has been proven effective in the treatment for musculoskeletal pain, sports injuries,headaches and migraines, gastrointestinal diseases, depression, anxiety, insomnia, infertility, fibromyalgia, weight loss - or gain, common cold, allergies, asthma sinusitis and many more. With over 23 centuries of continuous use, traditional Chinese medicine approaches disharmonies from within a framework that addresses the customer's constitution. Both the disharmony and the essential or underlying physical makeup of the individual are taken into account for diagnosis and treatment. Chinese medicine enhances the recuperative power, immunity, and state of well-being. 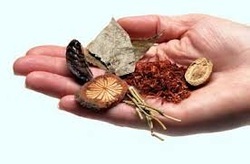 With fewer side effects and easy assimilation, Chinese herbs are safe, effective, and gently nurturing. Western drugs often control symptoms but do not alter the disease process, whereas Chinese herbal therapy treats the imbalance underlying a condition's symptoms. Each treatment is tailored to the individual and based upon a traditional diagnosis. Cupping is one of the oldest methods of traditional Chinese medicine. In a typical cupping session, glass cups are warmed using a alcohol drenched cotton ball which is then placed inside the cup. Burning a substance inside the cup removes all the oxygen, which creates a vacuum.As the substance burns, the cup is turned upside-down so that the practitioner can place the cup over a specific area. The vacuum created by the lack of oxygen anchors the cup to the skin and pulls it upward on the inside of the glass as the air inside the jar cools. Drawing up the skin is believed to open up the skin’s pores, which helps to stimulate the flow of blood. It further balances and realigns the flow of qi, breaks up obstructions, and creates an avenue for toxins to be drawn out of the body.Depending on the condition being treated, the cups will be left in place from 5 to 10 minutes. Several cups may be placed on a patient’s body at the same time. Gua Sha is a traditional Chinese medical treatment in which the skin is scraped with a smooth soup spoon to produce light bruising. Practitioners believe gua sha releases unhealthy elements from injured areas and stimulates blood flow and healing. Modern research shows Gua sha produces an anti-inflammatory and immune protective effect that persists for days following a single Gua sha treatment. This accounts for its effect on pain, stiffness, fever, chill, cough, wheeze, nausea and vomiting etc., and why Gua sha is effective in acute and chronic internal organ disorders including liver inflammation in hepatitis. Shiatsu is a Japanese form of bodywork. The word shiatsu means "finger pressure", and shiatsu is sometimes described as a finger pressure massage. Like acupuncture, shiatsu is based on the holistic system of traditional Chinese medicine, where illness is thought to result from imbalances in the natural flow of energy, or qi (pronounced "chee") through the body. Shiatsu therapists use finger and palm pressure to energetic pathways, called meridians to improve the flow of qi. A scientific explanation is that shiatsu calms an overactive sympathetic nervous system, which improves circulation, relieves stiff muscles, and alleviates stress. The shiatsu therapist applies pressure using his or her fingers, thumbs, and/or palms in a continuous rhythmic sequence.